If you tell a man that he throws like a girl, it’s an insult. But tell a woman that she paints like a man and it’s supposed to be taken as a compliment… at least this was the thinking back in the 1970s. Although future ‘Heretics’ recall being told in filmmaker Joan Braderman’s affectionately lensed, feisty documentary feature debut that they were talented kids, each and every one was reminded that they were “only a girl” after all and as such, creativity was only a passing phase in their life – as short lived as a ball in the air that’s been thrown by a "girl." Tired of being picked last for the team – or rather not picked at all in the male dominated fields of journalism, politics, art and more – the women in question who’d come of age in the era of civil rights banded together to approach gender as an equality issue of their very own, acknowledging that women weren’t being treated simply as delicate girls but as an entirely different class altogether. 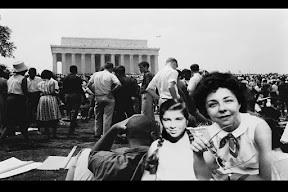 Imaging a time and a future when and where everything seemed possible, likeminded independent women from all ages, races, places and walks of life left their individual corners of the universe to try for a slice of the Big Apple pie of New York. 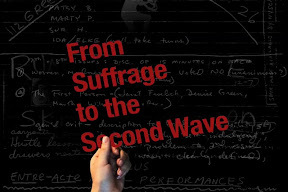 Guided and inspired by the words of Betty Friedan and Simone de Beauvoir among others as part of the second wave of feminists since the suffragette era sixty years earlier, the ladies of the ‘70s understood the need to identify the problem for themselves rather than depend on men to do it for them – knowing it takes a native speaker to understand the language of women. 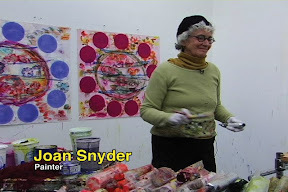 Revisiting the fore-mothers of the Heresies feminist publication on art and politics in every location to which they’ve traveled after publishing twenty-seven issues of their forward-thinking journal from 1977 to 1992, former Heretic turned filmmaker Joan Braderman uses her investigative eye to evaluate the past while attempting to put it into some kind of contemporary perspective regarding what it meant to the people involved today. It’s an ambitious undertaking and her passion shines through from the start, kicking The Heretics off to a good – if unbalanced -- start, initially introducing it as some kind of an autobiographical recollection or portrait of the filmmaker as a young woman that suddenly veers into a PBS reunion special approach. 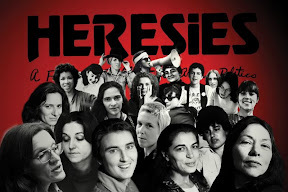 In what is arguably the strongest portion of the documentary, Braderman gives us a highlights reel of the Heretics to come, incorporating a shrewd, witty or sharply observed soundbite that we hope foreshadows the interview to come. Unfortunately, most of the topical observations are never revisited on film, as Braderman rushes to include everything but does so from the inarticulate advantage of an insider, knowing the story of the Heretics so well that she doesn’t stop to ensure that the rest of us aren’t lost in the translation. While it may have been enhanced by a different framework than a narrow reunion piece since the outsider interest level is nowhere near that of the documentarian, there’s so many inspiring minds to behold that it’s sure to fascinate regardless of whether or not the impact is as great as it could’ve been. Though obviously The Heretics plays better to those of us unafraid to still call ourselves feminists since we know the true meaning of the word rather than its prejudicial connotation in contemporary society, overall the pacing of the production suffers from too many stops and starts, caused by dividing up the content in onscreen Q&A sessions that give it an educational film-strip feel where it should’ve been allowed to simply breathe. Although, a true exploration of the Heresies journal would’ve been much more fascinating, had this cut better acquainted us with each subject and individual, The Heretics would have flowed much more naturally from start to finish. Augmented by great intentions and a passion for inspiration and ambition, The Heretics is yet another reminder of how vital it is for all individuals to get behind a lens, keyboard or easel to tell their story and maybe encourage social change and creative revolution in the process, as evidenced in Braderman’s title currently airing on The Documentary Channel over the next few months.